The festival of Navaratri, celebrating the various forms of the Divine Mother, Durga, assumed a colourful appearance at M.A.Math, Mumbai. It captured the traditional festive spirit, right from the display of ‘Golu’ dolls to the Gujarati dandiyaraas by enthusiastic devotees. 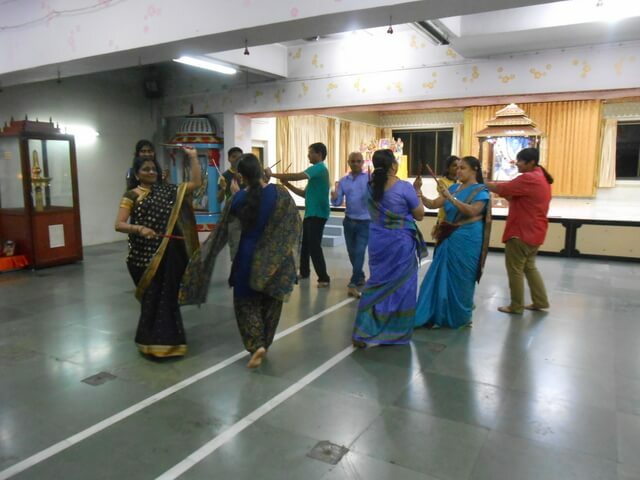 At the Nerul Ashram, the Kali Puja, Lakshmi Puja and Saraswati Puja were conducted on the 8th, 9th and 10th day of the festival. 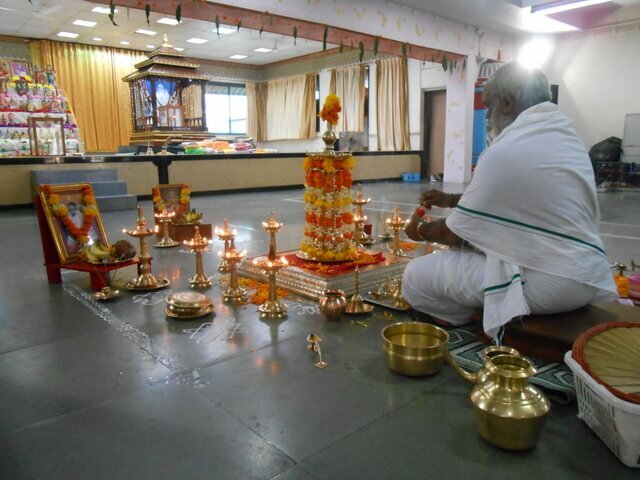 Devotees also attended the daily bhajan sessions. 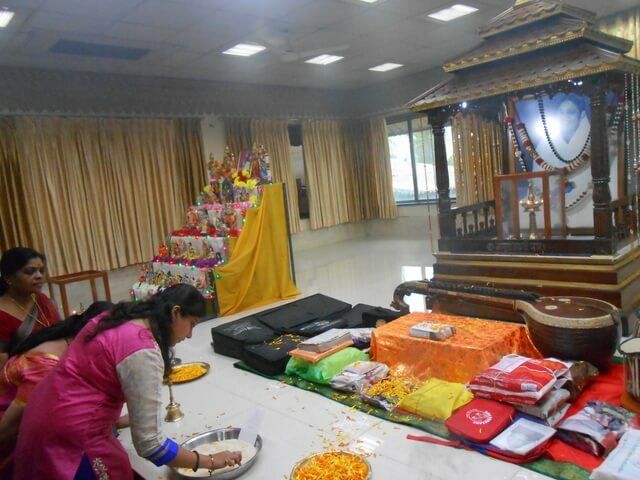 The Golu doll display was well-appreciated, and the dandiyaraas by devotees added colour to the celebrations. Sweets and savouries were also offered to the Divine Mother. On the day of Dussehra or Vijaya Dashami, the vidyarambha ritual saw the participation of a large number of devotees from across the city.